Your business is important and making sure you have everything you need to protect it is important to us. We provide a wide range of professional commercial locksmith services geared to help fulfill your security needs no matter how big or small your business is. 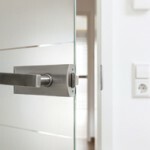 From rental properties to health care, large and small business owners alike will find every solution they need in one Perth locksmith company. From the newest options in high tech security to traditional locks, our professional Perth 24 hour locksmiths are equipped to provide you with the very best service and security systems for all your needs all at a price that can’t be beat. No matter what type of system you need installed, our professional locksmiths have the tools and equipment to get it done right. We have a wide range of products and options so you can get the right level of protection for every part of your business. High-security locks, cylinders, combination locks, deadbolts, cabinet and desk locks, even vaults and security systems- we install and service it all. Call today and ask about our commercial locksmith services to set up an estimate for your business. While traditional locks work, many businesses these days require a more modern approach to security. We install and service a wide range of high-tech options to fit your business’ needs. Card readers, digital touch pads, and even shortwave radio fobs are more secure than traditional locks, and they give you more flexibility and control over who has access to your business. Call and ask about our commercial locksmith services and one of our friendly professionals can go over your options and give you an estimate. Safes hold those things you value most. So when the lock breaks or the code gets lost, call us. We service all brands of safes. We can get you back in touch with your most important assets, and keep others out. So, whether you need the codes changed or the lock fixed, our mobile locksmith service experts will get the job done, and make your safe a safe place again. Master key systems make it easy to stay in charge of who has access to your assets. Never again will you have to fumble with a bulky key ring, or try to remember which key goes to a specific lock. With only one key to keep track of, your life will be a little easier. Changing locks every time a key is lost or an employee leaves can be a hassle. Maybe that’s why so many business owners don’t do so nearly as often as they should, leaving their businesses exposed to the risks of internal and external theft. Changing and rekeying locks doesn’t have to be a hassle. With a key management system, each person can have exactly the access they need, and only the access they need. We make it easy to track and change only the locks which need to be changed in the event of a lost key or a personnel change – saving you time and money. Call today and find out how our commercial locksmith services can make managing your business easier. If your lock won’t let you in, or doesn’t keep thieves out, it isn’t doing you any good. With our around-the-clock locksmith services, you can get problem locks fixed fast. We also service broken safes, so just call our customer service line and speak with a commercial locksmith services expert. Lost key? No problem. We offer emergency locksmith services in case you get locked out. And, with our key management system, changing locks doesn’t have to be a hassle. 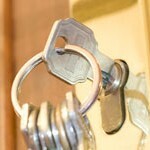 Our locksmiths will also cut new keys and make duplicates as needed all at the lowest prices in town. Whatever your needs may be, we promise to be there fast so you can get back to business. Lockouts, lost keys, broken locks, these sort of emergencies can strike anytime. Don’t leave your business vulnerable a moment longer than you have to. Our locksmiths are always ready for an emergency. Just call our 24-hour hotline and a friendly agent will get a locksmith dispatched to you right away. Do you need other professional commercial locksmith services we don’t have listed? We can probably help. Just call and ask one of our friendly customer service agents. At Emergency Locksmith Perth, we offer a wide range of Locksmith Services. Call today to find out how we can help you. we have mobile locksmiths on the road and ready to help.